The highly contemporary development showcases panoramic views of the Andaman Sea in a private, luxurious atmosphere. 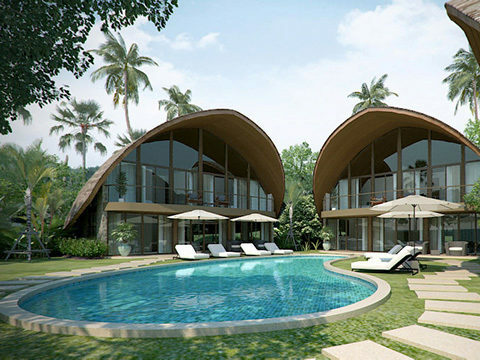 A three Villa unit’s complex will be developed on the tranquil hillside of Kata Mountain in Phuket Island, Thailand. The land is at an altitude from where to captures the panoramic views of the Andaman Sea. From the development, Kata Beach is as close as a quick walk downhill. Kata, located on the southwestern coast of Phuket, is one of the island’s most idyllic beaches. Often referred to as Phuket’s surfer’s paradise, the neighbourhood has a small village atmosphere but is upscale in both dining and nightlife options. A favourite with families and couples, Kata boasts a lively atmosphere and an ideal proximity to the beach. There are plenty of activities in Kata to keep both adults and children pleased. These villas comprise three contemporary Asian-style villas scattered across a gorgeous parcel of tropical land. The positioning of the villas is cozy and private, and due to the complex’s tropical surroundings takes on a calm, spa-like ambience. 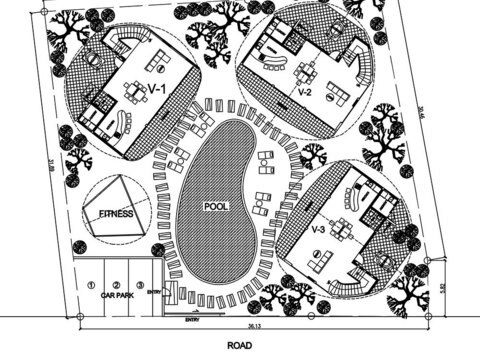 The large, free form swimming pool is designed for villa access coming close to the entrance of all three villas. The contemporary design of these villas is innovative and unique. The original design is complimented by tropical forest matching colours. Floor to ceiling glass doors drink in the natural light and the verdant shades of the outdoors whilst leading to comfortable outdoor terraces. The warm interior color scheme of these villas is perfected with natural wood touches giving the villas a very open, inspiring yet modern feel. The three Asian-style villas that are these villas have been finished to absolute highest specifications. The villas feature two very spacious floor plans. 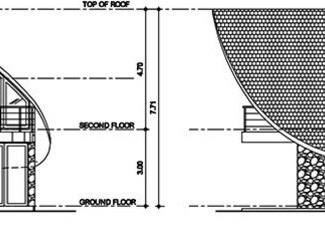 The ground floor is approximately 135 m2 while the second floor is approximately 104 m2. The wide variety of facilities on-site at These villas include the refreshing free form swimming pool, a gym, Finnish sauna, laundry service, maid service and an in-house maintenance team. Other perks include functional parking and a CCTV system ensuring security on the premises at all times. The site elevation from sea level is 30 meters while the distance to Kata Beach is 1,200 meters. Breathtaking views and a white sand beach within close proximity are just two of the complex’s distinctions. These villas are affordable luxury and present a unique opportunity to own a contemporary Asian-inspired villa in one of the premier neighborhoods on Phuket. 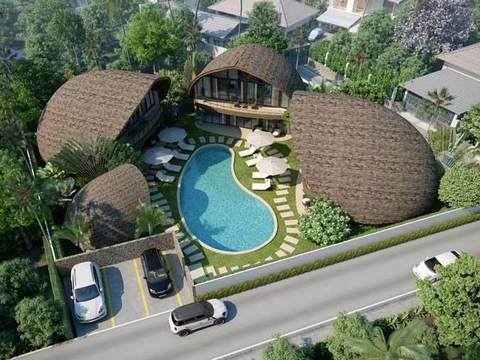 The structuring of the three villas is identical, and the villas are on sale for an extremely competitive price of 23,000,000 THB. The villas are a sound investment. These villas are the perfect complex for anyone looking to invest in a bespoke holiday home. The complex is made of three Asian-contemporary-style villas scattered over the parcel of land in a way so to create a cozy-private environment and spa-feels-like atmosphere. The free-style pool is designed so to come close the entrance of every villa. The site elevation from sea level is 30 meters and the distance to the beach is 1, 200 meters. 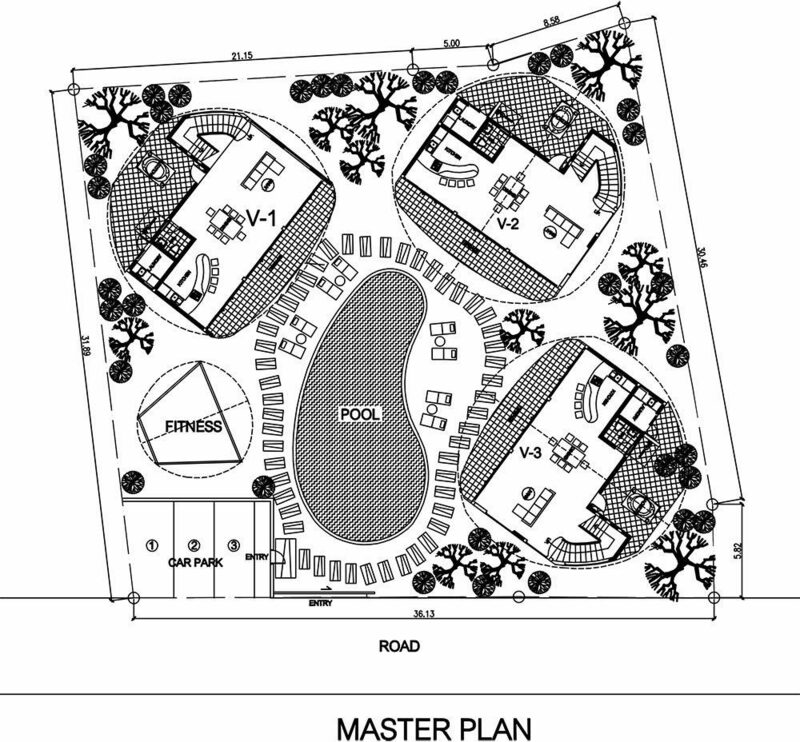 Finished to the highest specifications, the Villas will have a ground floor of approx. 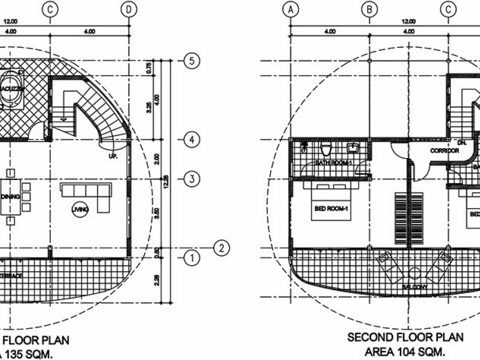 135 m2 and a second floor of approx. 104 m2. Facilities include parking, CCTV system, big common pool, gym, Finnish sauna, laundry service, maid’s service and in-house maintenance team. The development will stands out from others by its original contemporary design and tropical-forest matching colors. Floor to ceiling glass patio doors bring the magnificent views inside and lead onto comfortable terraces. With cozy and warm interior color scheme and natural wood touches, the Villas give you an inspiring open and modern feel. Three Villas, luxury finishing with big pool and private garden. Start construction:	Upon signing the purchase agreement. 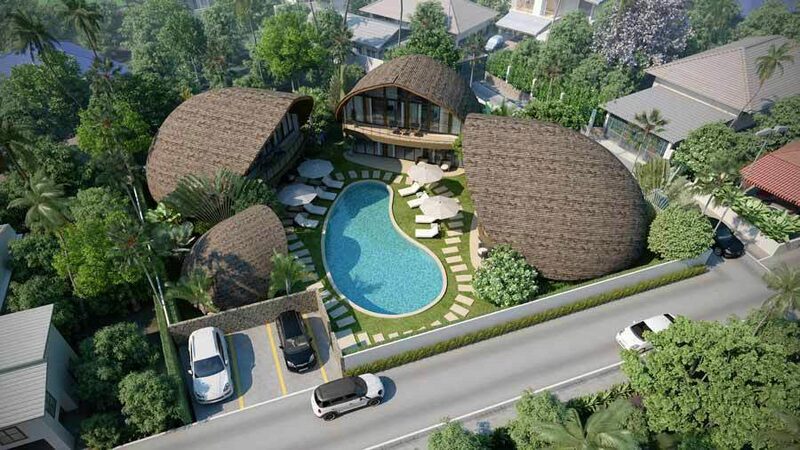 Completion date:	within 16 months from signing purchase agreement All villas are identical and are on sale at the competitive price of 23,000,000 THB. 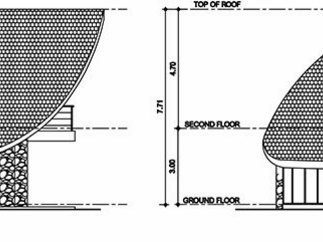 A 2% deposit is requested for secure the villa, 33% after signing the purchase agreement, 25% once foundation are completed, 25% once structure is completed and 15% upon keys hand-over.